These last few weeks have been a whirlwind. We welcomed baby Anthony to our family on August 20, 2018 and life couldn’t be more sweet. But now that we have 3 little ones AND 3 dogs I’m quickly realizing how the little things add up. 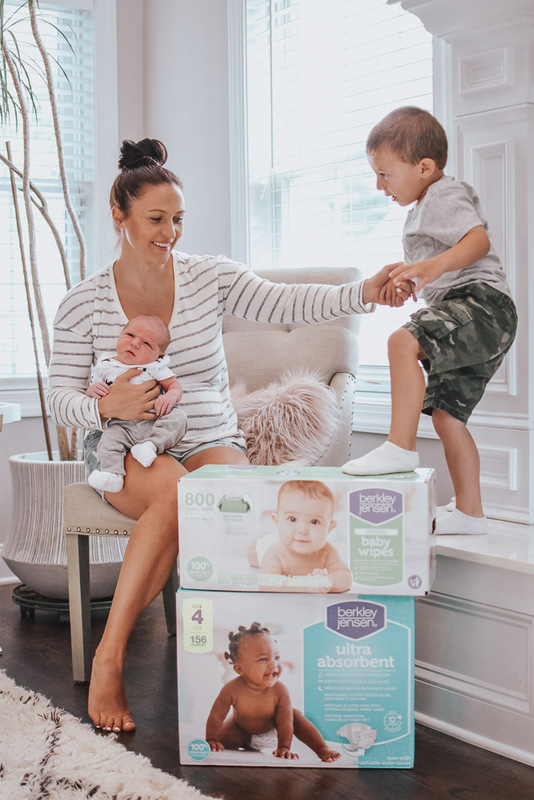 Not only are Berkley Jensen products affordable but the Berkley Jensen Ultra Absorbent Diapers and Berkley Jensen Baby Wipes provide the same exact protection and reliability as major name brands. Our 3-year-old is still potty training and for as much as he climbs, runs and jumps around these diapers still provide amazing protection. So far we haven’t had any overnight leakage and NEITHER of our 2 diaper-wearing babes have had any rashes/irritation. One of the product features I love in a diaper is the wetness indicator, especially for newborns. I always thought this was only available in brand name diapers but it’s actually one of the key features in the Berkley Jensen Diapers! Wetness indicator turns blue when wet – A MUST-HAVE! Berkley Jensen offers more than just your typical baby wipe. I was surprised to see so many options and really haven’t seen this from any other line, name brand or not. Choose from unscented wipes, ultra sensitive wipes, and green tea & cucumber wipes (really!). Have you tried any infant essentials from the Berkley Jensen brand at BJ’s? I’d love to hear your thoughts! Share this “How We Save On Family & Infant Essentials at BJ’s Wholesale Club” post via Pinterest via the image below! Check here for more parenting/kids posts. I’ve never heard of these diapers before! We don’t have a BJ’s near us but these sound like great diapers! 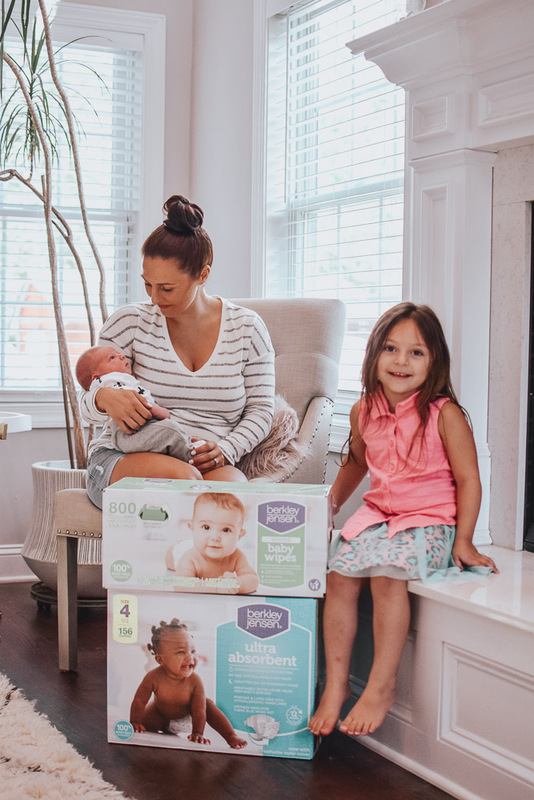 I haven’t tried their line of diapers and wipes but I love the idea of shopping there and buying in bulk! Buying wholesale is such a moneysaver!! Super cute pics with these two too! !